NASA's most daring and expensive Mars mission yet begins this Sunday with the touchdown of the smartest, most advanced interplanetary rover ever built. 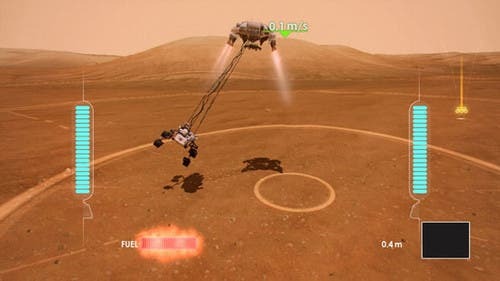 The touchdown NASA for the Curiosity rover is so risky it's been described as "seven minutes of terror" — the time it takes to go from 13,000 mph (20,920 kph) to a complete landing. 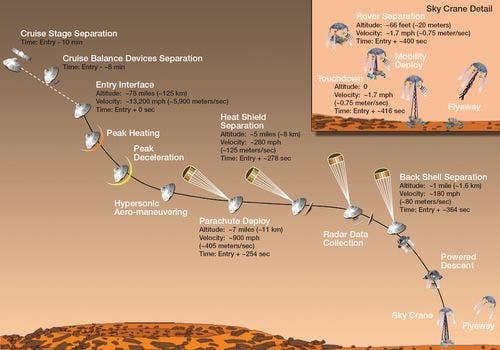 Scientists at the NASA mission center won't know for 14 minutes whether Curiosity lands safely as radio signals from Mars travel to Earth. If it succeeds, a video camera aboard the rover will have captured dramatic footage of the first landing on another planet. NASA's most advanced planetary rover, the 1-ton Curiosity , the centerpiece of the Mars Science Laboratory (MSL) mission, is slated to land at the Gale Crater on the night of Aug. 5 to look for chemical evidence of ancient life preserved within exposures near the base of a five-kilometers high mound of layered materials at the center of Gale crater (above). "Be patient about the drive. It will be well worth the wait and we are apt to find some targets of interest on the way," said John Grotzinger, MSL project scientist at the California Institute of Technology in Pasadena. 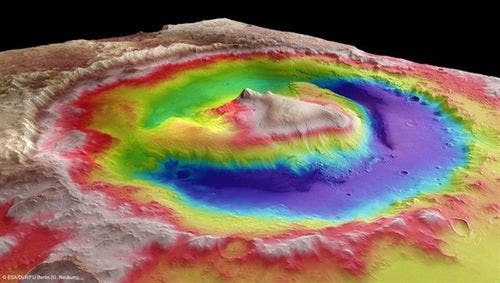 "When we get to the lower layers in Mount Sharp, we'll read them like chapters in a book about changing environmental conditions when Mars was wetter than it is today.